The OPEC cartel is expected to keep production at 30 million barrels a day at its next meeting on June 5, as global supply and demand remain unchanged, said Kuwait’s OPEC governor Nawal Al-Fuzaia. The cartel’s president and Nigerian Oil Minister Diezani Alison-Madueke had suggested an early meeting could be convened should oil prices continue to fall, but so far they haven’t. Crude oil prices have fallen to about half of their peak in June 2014 when Brent was trading at $115 per barrel. 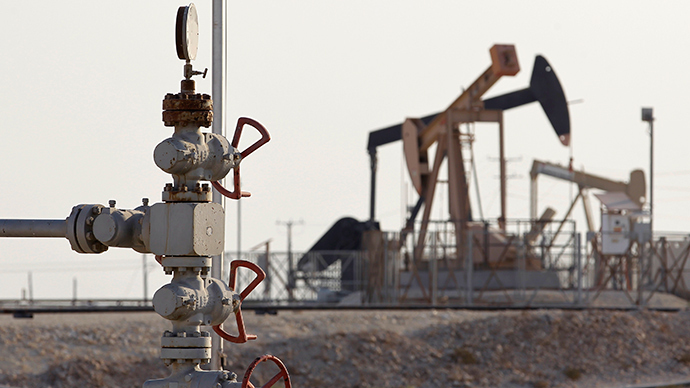 OPEC’s refusal to reduce output in November brought the prices down below $50 per barrel. At the time of publication Brent crude was trading at $56 per barrel, after recovering to above $60 a barrel last Friday. Some experts believe the reason for such a dramatic drop lies in the oversupply provoked by the leading cartel member Saudi Arabia which wants to protect its market share against other major producers such as the US or Russia. In its February’s report the International Energy Agency expects the price of North Sea Brent blend to be at $55 per barrel throughout 2015, which is 30 percent lower than the price projected at the end of 2014. Global overproduction of oil was estimated at 1.5 million barrels per day with the bulk of oversupply coming to the market from OPEC. There are experts who suggest the cartel’s strategy to protect its market share against higher cost rivals, such as US shale producers and Canadian developers of oil sands envisages extending the period of low prices that would make their production less profitable. Tight oil producers, in turn, will be made to cut production or to end it completely. However, the entry of new suppliers has scaled OPEC’s influence down, according to the World Bank reporting Tuesday. "There's very little evidence that OPEC has been effective as a cartel for some time," Michael Levi, senior fellow for energy and the environment at the Council on Foreign Relations, told Bloomberg. "Saudi Arabia, once in a while, has stepped in to stabilize the market." Still, the cartel may benefit from the fact that it isn't controlled by a legal clause on its policy of market participation, having, unlike other commodity groups, more flexibility to respond, the World Bank analysts say. "The last time they were in a parallel situation, with oil prices plummeting in the 1980s, you had all these proclamations that OPEC was dead," said Benn Steil, director of international economics at the Council on Foreign Relations. "Yet they weren't, because when the fundamental forces of the business settled at a higher level of oil prices, they started to regain some relevance." The World Bank’s report echoes the one made by Bank of America at the end of 2014 in which it states that OPEC has lost its competence failing to stabilize oil prices at the November’s meeting.